Insurance Fraud Investigations To Avoid Fake Claims With the Help of ISOG Private Investigator and Private Detective. When an insurance company suspects that a client is soliciting a payment for an accident and that it is believed to be fraudulent, ISOG private investigators and private detectives can analyze the incident to find evidence. 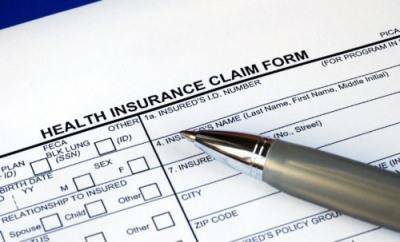 Insurance companies are aware of possible frauds and always try to avoid them. Insurance fraud occurs when a person seeks to obtain a benefit under an insurance policy by deception. It may involve providing false information to the insurance company, as well as damaging a property, for example a car, a house or a warehouse and then making a claim. Insurance fraud is a serious crime and the insurance company has to prove the allegation. To establish insurance fraud the insurance company needs to prove that the claimer intended to deceive, therefore evidence of wrongdoing must be secured in order to avoid paying the benefit claimed. If insurance fraud is established by the insurance company then it can reject the insurance claim and void the policy. Furthermore, the insurance company may report the case to the law enforcement authorities to investigate and prosecute the claimer. Sometimes, it may happen that the insurance company has not collected sufficient evidence to prove fraud and therefore will try to reject the claim on the basis of a breach of contract. This would never happen if insurance claims are investigated by professional private investigators and private detectives. Insurance fraud investigations are the mean that contributes to reducing the risk for the insurance company of being victim of a fraud. ISOG private investigators and private detectives are expert in insurance fraud investigations therefore they can analyze the insurance claims and investigate incidents in the different fields of insurance. They make sure that the insurance claims refer to real accidents.